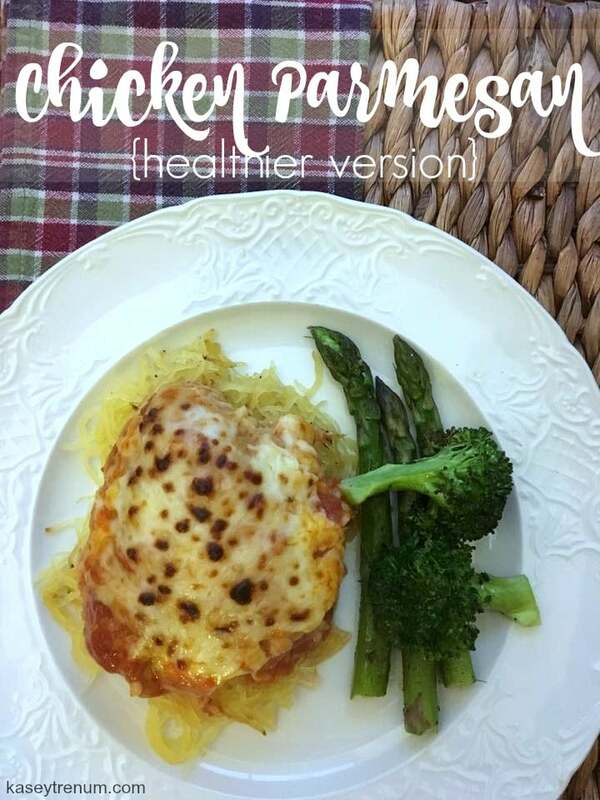 I love Chicken Parmesan, but I don’t love all the fat and calories, so I thought I’d come up with a new recipe that is a healthier version. Plus, with a newborn in the house, I don’t have time to cook recipes that require a lot of steps. 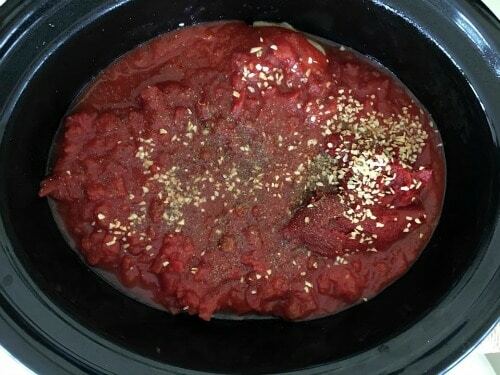 I used a slow cooker to prepare this recipe, and it turned out fantastic! I didn’t oven fry the chicken or include breadcrumbs as I needed this recipe to be as healthy and easy as possible. My entire family loved it. In fact, my two years old ate two helpings. I served the Chicken Parmesan over spaghetti squash with roasted asparagus and broccoli. 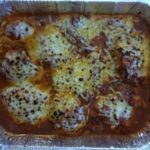 If you’ve never prepared spaghetti squash, here is a step by step tutorial with pictures that is helpful. I used a jar of spaghetti sauce in this recipe, but homemade spaghetti sauce would be amazing. I’ve got a super easy recipe here. Place chicken breasts in the bottom of a slow cooker. Cover chicken with next 5 ingredients and cook on low for 6 hours or high for 4 hours. 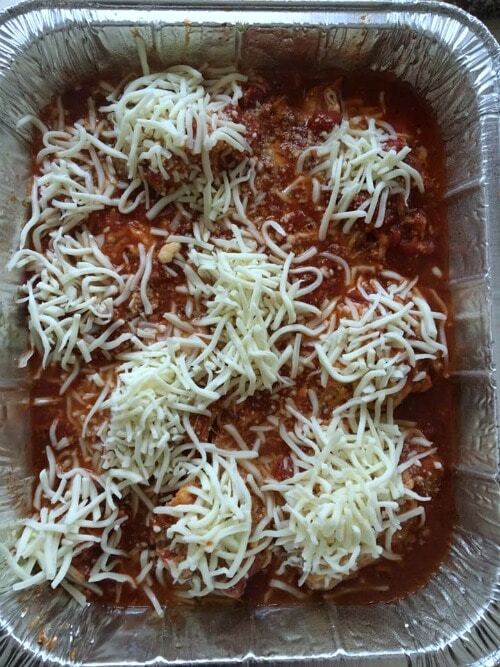 Once the chicken is done, spoon spaghetti sauce into a greased casserole dish. 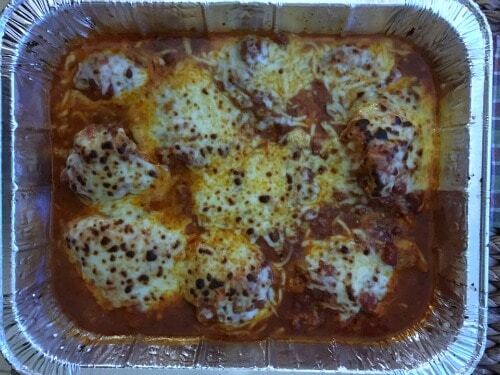 Sprinkle parmesan cheese and mozzarella cheese on top of chicken breasts. Turn oven on broil and place chicken on the top rack of the oven. Broil for 2-3 minutes or until the mozzarella cheese begins to brown. Serve on either spaghetti squash or whole grain noodles. « 2-Person Hammock with Stand ONLY $64.94!